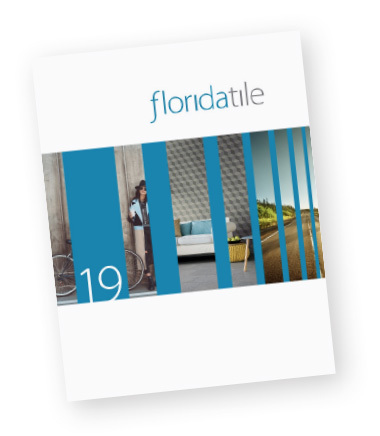 Aptly named, Time 2.0 is a contemporary evolution of what today's tile specifications require. Utilizing a double loaded porcelain manufacturing process, Time 2.0 delivers a highly durable commercial grade through body floor and wall porcelain. Different from traditional marble veining or the “salt and pepper” double loaded looks, Time 2.0 is a contemporary evolution of what today’s specifications require. The extensive color palette consists of 9 colors ranging from a Snow white to a deep Black. Each individual color is comprised of a solid body pigment that sets the overall tone of each tile. The smooth rich body is then decorated with slightly contrasting shades, created by individual granules of color that vary in dimension depth, thickness and pattern. These granules create a unique tone-on-tone effect unlike any other tile in the market. The beauty of the line comes from this simple play on color that on the surface seems simple, but is a complex balance of shade tone and texture. Consistent with the current trend of earthy neutral colors, Time 2.0 is destined to be a staple in any design library. Available in 3.75x12, 12x12, 6x24, 12x24, and 24x24 formats and in 3 finishes natural, polished and textured; all with rectified edges. Trims include polished and natural bullnose in 3x12, as well as cove base and corners. Decorative mesh-mounted mosaics are available in the standard 25-piece mosaic, as well as, in a 12x24 RSP mosaic that combines colors and textures to create 3 exceptional palettes. Time/2.0 is Certified Porcelain Tile, GREENGUARD® Gold Rated and suitable for all commercial and residential floor, wall and countertop applications. Passed 7 Mohs Natural & Textured 850 lbf. avg. Natural bullnose is offered in all colors. Polished bullnose only available in Snow, Cream, Beige, Silver, Carbon & Black. Textured bullnose not available. Cove Base and Corners are offered in natural only.